I just returned from a 30-day photo excursion to Italy, Sicily, the Egadi Islands and Malta, a trip that caused me not a small amount of angst before we left. That’s because I usually lug around some 30-40 pounds (14-18 kg) of equipment with me on my landscape adventures, including a Gitzo 3541 tripod with a Really Right Stuff ballhead that alone clocks in at 8 pounds! I needed some real neck and back relief! 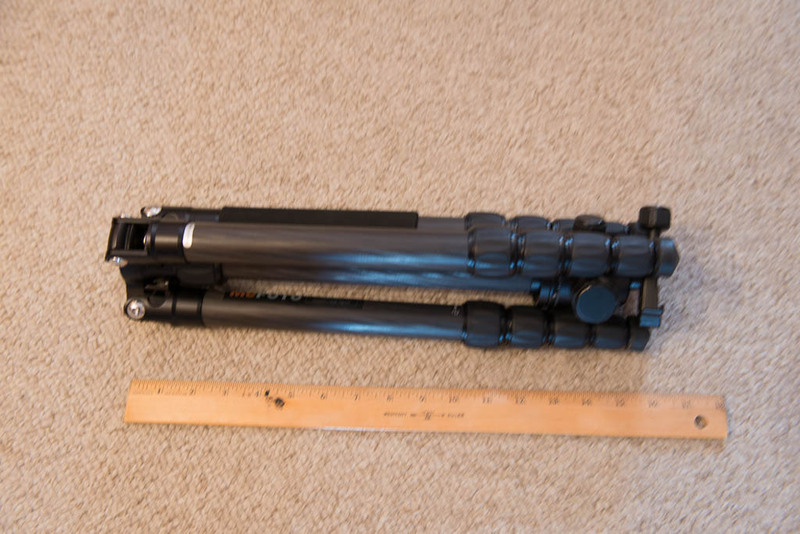 Enter the 4-pound (1.8 kg) MeFoto tripod, complete with ballhead, that I had come across while doing some research. Europe is not exactly the best place to lug around a bulky tripod, due to the incessant crowds and narrow spaces. I needed something light and very portable. 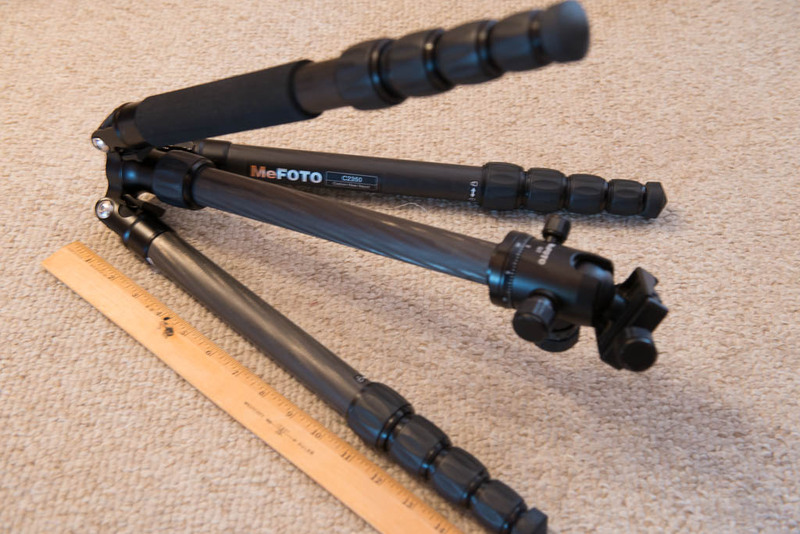 Me Foto makes three variants of its uber-portable tripods. I chose the heaviest of the lot- the Globetrotter- because I am a bug for stability. Even so the MeFoto is not designed to be in the same league with the Gitzo 3541, but as you’ll see I found it exceptionally versatile, easy to carry, and made of quality materials that continually amazed me. The MeFoto comes with rubber tips and a rugged carry case that includes a concealed zipper pouch, and an adjustable carry strap. In that pouch the company includes a set of metal spikes for use in sand, an Allen wrench, and an instruction booklet. Also included is a bracket to attach to your camera so it fits the Arca-Swiss ballhead attachment on the tripod. All of my Really Right Stuff brackets fit the MeFoto ballhead perfectly. There is also a spring-loaded hook at the bottom of the center column so that you can add mass when the wind is blowing. In fact I used that hook throughout my trip due to bad weather in Europe in May, 2013. I attached a carabineer to my bag and clipped it to the hook in less than a second. The tripod also includes a rubberized upper leg column on one of the legs, making carrying it a breeze. 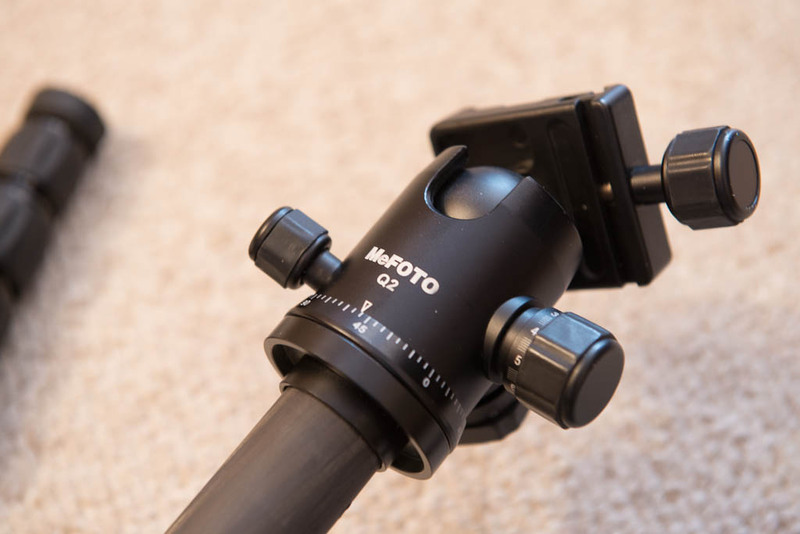 One ingenious feature of the MeFoto is that one of the legs (the one with the rubberized section) unscrews from the tripod and attaches to the removable center column to create a monopod! It’s like getting two critical pieces of equipment in one. The machining tolerances on the tripod mechanisms are excellent, in my non-engineering opinion. Legs extend and collapse smoothly with just a quarter-turn of the knurled, rubberized twist locks. The head clamps easily and it firmly held my Nikon D800 with 70-200 f2.8 lens and 1.4 extender. The pan adjustment moves smoothly. I am a bug for field-testing equipment under real-world conditions. In this respect the MeFoto exceeded my expectations. It is so light to carry compared to my usual setup, I found myself smiling most of the time. Setup was quick and easy. The tripod is so small you won’t find yourself ramming it into people on crowded, narrow European streets. My only reservation is the price. My larger unit costs $369. However, I would happily pay that again, given how functional it proved to be on my trip. Of course, I would not choose to take it along on my wildlife or landscape adventures, but this wonderful piece of equipment has won a favored place in my photo gear. If you have any further questions about the tripod, feel free to ask.